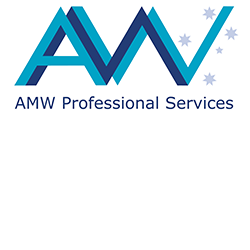 AMW Professional Services (AMW) is an Australian owned Defence technology development and professional services business delivering fully independent professional project management and engineering support services nationally to industry, Defence and Government departments. AMW has over 15 years’ experience delivering specialist services across the full capability lifecycle, providing value for money solutions to meet client outcomes. AMW works exclusively “above the line” ensuring 100% independent, candid and integrity proof advice, services, deliverables and solutions. AMW provides a full range of engineering consultancy services to deliver outcomes across the capability lifecycle, from concept definition, acquisition, transition to service and sustainability. We also have the capability to analyse, design, prototype and deliver bespoke RF solutions. Our experienced delivery teams are tailored to meet specific client needs and consist of program management, engineering & technical, material logistic, commercial, corporate performance and authoring services. We offer a low risk approach to provide the right level of skilled personnel and services to deliver best outcomes and value for money. As a fully owned Australian company, AMW offers a safe pair of hands to deliver high quality outcomes across the capability lifecycle. Our deep specialist engineering capability has evolved from a nucleus specialising in the Intelligence, Surveillance, Reconnaissance and Electronic Warfare (ISREW) domain. Our proven delivery record provides a low risk approach to achieving exceptional outcomes, regardless of project size or complexity. We offer dedicated customer relationship management to ensure expectations are exceeded and services are delivered on time, proving a value for money outcome.